Those of us from south Texas LOVE our salsa and generally like it spicy-hot and fresh-made. Holly and I are certainly no exception. Any decent Mexican restaurant in San Antonio will have their own fresh-made salsa. I remember the first time I asked for “salsa” at a restaurant here in Puerto Rico. The waiter returned with mayo-ketchup! As good as it is with tostones, it’s no replacement for the type of salsa I was looking for. We’ve been making fresh salsa at home pretty much every week for the last several years. We had no intention of ending this tradition simply because we changed locations. The store bought picante sauces just don’t compare. Fresh salsa is what takes fajitas, taco salad and a morning omelet from okay to AWESOME. In San Antonio, we even had a pretty steady harvest of them from our garden. 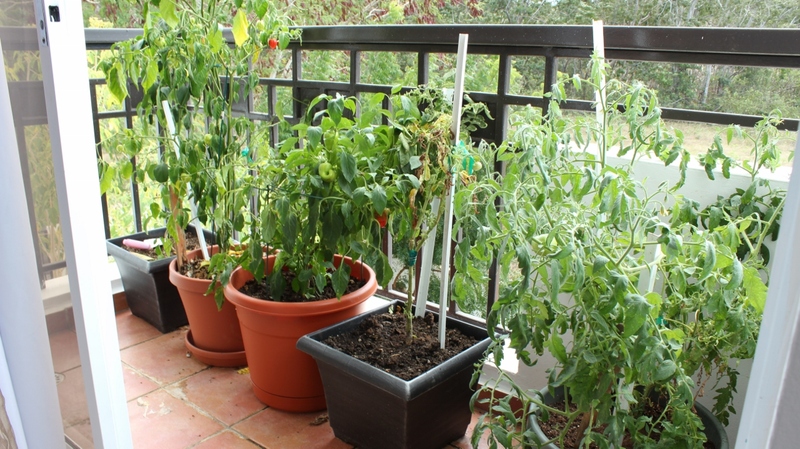 When we tried to grow them from seed on our balcony here, the plants grew to about 10 inches tall and then stopped growing completely. They never produced any peppers and looked sick, so we finally pulled them up. So with no serrano peppers available, we have to make our salsa with the next best thing: jalapeño peppers. Thankfully these are available. 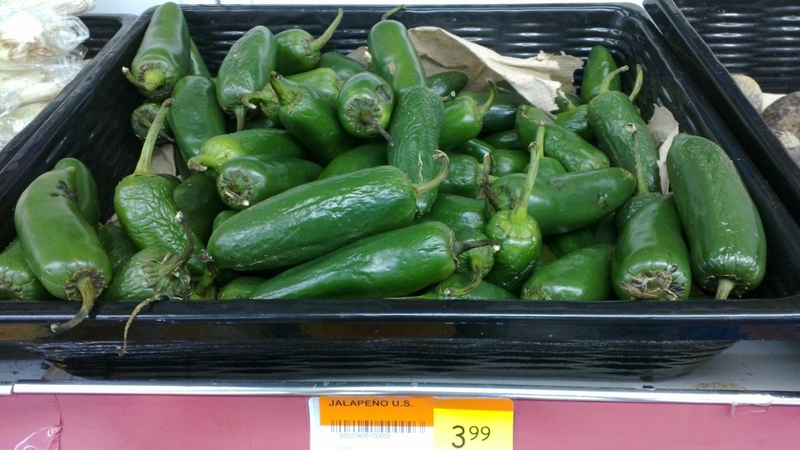 Unfortunately though, the jalapeños they sell here are imported from the states or Chile, so they are obviously not nearly as fresh and are also relatively pricey. I’ve seen them go for any where from $3.49 to $6.49 a pound! They also aren’t nearly as spicy. We have to leave pretty much ALL of the seeds in for our salsa to have any spiciness to it at all! 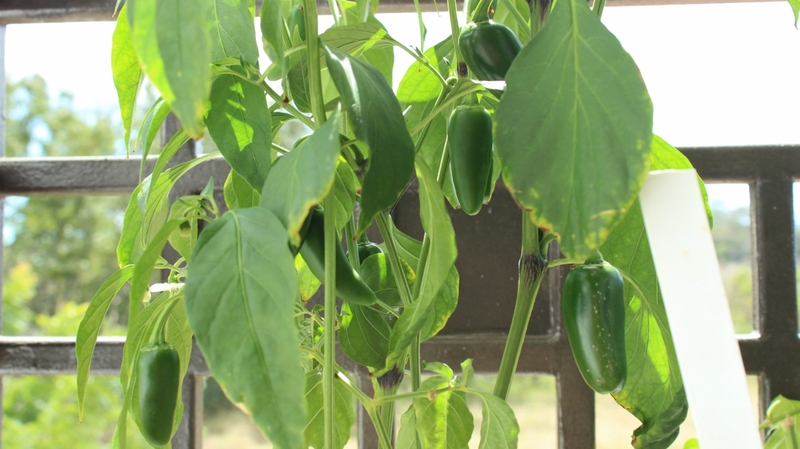 We are having some success with our own jalapeño plants, which is encouraging. We are planning to plant a few more. The other main ingredient for salsa is also a bit of challenge here. Inexplicably, all of the grocery stores here refrigerate the tomatoes which renders them flavorless. Thankfully, Sam’s Club as well as the farmer’s markets have fresh, unrefrigerated tomatoes. We are also trying to grow these as well with limited success. I think we’ve managed to harvest a total of THREE cherry tomatoes so far. We are going to stick with it though and hopefully have better luck going forward . Hi, David. We discovered the same issue with peppers in PR. We love the heat and grow our own habaneros and chopp and freeze them. We are currently in Rincon and this year brought frozen baggies of our peppers which are making a huge difference in our cooking…make fresh ceviche last night with them. Your plants are looking good! That’s a good idea Barbara… thanks for sharing! Thanks for the post. We love fresh salsa too, and will be experimenting wth different blend as we just arrived last night.